This semester, we extend our East St. Louis Digital Humanities Club--an extracurricular program. The participants in the club -- a graduate student, undergraduates, and high school students -- will work on graphic design, audio mixes, and public exhibits. The goal is to build interest and expertise in technology. 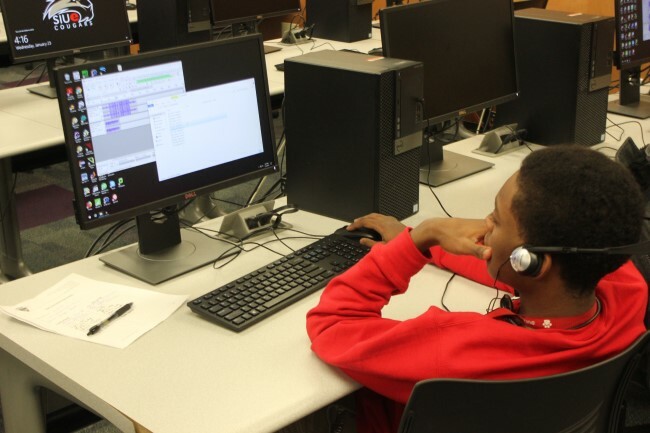 This after-school DH club is an outgrowth of our larger Digital East St. Louis, a collaborative project between SIUE's STEM Center and the IRIS Center. The project is supported by a National Science Foundation ITEST grant.